This list of ancient peoples living in Italy summarises groupings existing before the Roman expansion and conquest. Many of the names are either scholarly inventions or exonyms assigned by the ancient writers of works in ancient Greek and Latin. In regard to the specific names of particular ancient Italian tribes and peoples, the time-window in which historians know the historical ascribed names of ancient Italian peoples mostly falls into the range of about 750 BC (at the legendary foundation of Rome) to about 200 BC (in the middle Roman Republic), the time range in which most of the written documentation first exists of such names and prior to the complete assimilation of Italian peoples into Roman culture. Nearly all of these peoples and tribes were Indo-Europeans: Italics, Celts, Ancient Greeks, and tribes likely occupying various intermediate positions between these language groups. However, the exact language families of some Italian peoples (such as the Etruscans) are uncertain or considered "pre-Indo-European". Peoples speaking languages of the Afro-Asiatic family are known to have settled in some coastal parts of insular Italy, specifically the Semitic Phoenicians and Carthaginians. Before the introduction of writing, and before ancient sources existed that describe ancient Italian tribes, archaeological cultures might be hypothesized to have been associated with historical identities, especially in relatively isolated and continuous regions. 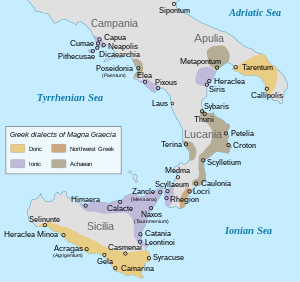 However, due to the lack of written documentation, any further assumptions as to the historical names or cultural identities of these ancient archeological cultures and of those Italian peoples existing prior to known ancient written sources would be presumptuous by current archeological and historical standards. The specifically named ancient peoples of Italy listed here are therefore confined mostly to the Iron Age of Italy, when the first known written evidence, generally from Ancient Roman or Greek sources, ascribed names to these tribes or peoples before such peoples became assimilated into Roman culture through the Roman conquest. In contrast to those tribes or peoples documented by ancient sources, pre-Roman and pre-Iron Age archeological cultures are also listed, following the lists of specifically named ancient Italian peoples and tribes; however, the names of these pre-Roman archeological cultures are modern inventions, and most of the actual names of the peoples or tribes that belonged to these proposed cultures, if such names existed, currently remain unknown. The following peoples are believed to have spoken languages that were not Indo-European, although some on scanty evidence. Some of them were Pre-Indo-Europeans or Paleo-Europeans while, with regard to some others, Giacomo Devoto proposed the definition of Peri-Indo-European (ie everything that has hybrid characters between Indo-European and non-Indo-European). The map shows the most important archaeological sites of Sicily related to pre-Hellenic cultures, as well as the possible extent of the cultures of the Elymians, Sicani and Sicels. The specific identities or names of the tribes or groups of peoples that practiced these pre-Roman archeological cultures are mostly unknown. The posited existence of these archeological cultures is based on archeological assemblages of artifacts that share common traits and are found within a certain region and originate within a certain prehistoric period. Therefore, many of these archeological cultures may not necessarily correspond to a specific group of ancient people and, in fact, may have been shared among various groups of ancient peoples. The extent to which an archeological culture is representative of a particular cohesive ancient group of people is open for debate; many of these cultures may be the product of a single ancient Italian tribe or civilization (e.g. Latial culture), while others may have been spread among different groups of ancient Italian peoples and even outside of Italy. For example, Latial culture is believed to be the product specifically of the Ancient Latin tribe, the Canegrate culture and Golasecca culture have been associated with various ancient proto-Celtic, Celtic and Ligure tribes including the Lepontii, Orobii, and Insubres, while other cultures spread out beyond the Italian peninsula. ^ Giacomo Devoto, Gli antichi Italici, Firenze, Vallecchi, 1931. ^ "sardi in "Dizionario di Storia"". www.treccani.it. ^ "SARDI in "Enciclopedia Italiana"". www.treccani.it. ^ "ARCHIVIO. Nuovo studio dell'archeologo Ugas: "È certo, i nuragici erano gli Shardana"". Sardiniapost.it. February 3, 2017. ^ a b "LacusCurtius • Ptolemy's Geography — Book III, Chapter 3". penelope.uchicago.edu. ^ Storia, vita, costumi, religiosità dei Veneti antichi at www.venetoimage.com (in Italian). Accessed on 2009-08-18. ^ "L'alfabeto umbro su Omniglot.com". 16 January 2009.